There are moment in history when an event so pivotal occurs, changing the course of history as we know it; Pope Francis’ visit to the United Arab Emirates is one of them. 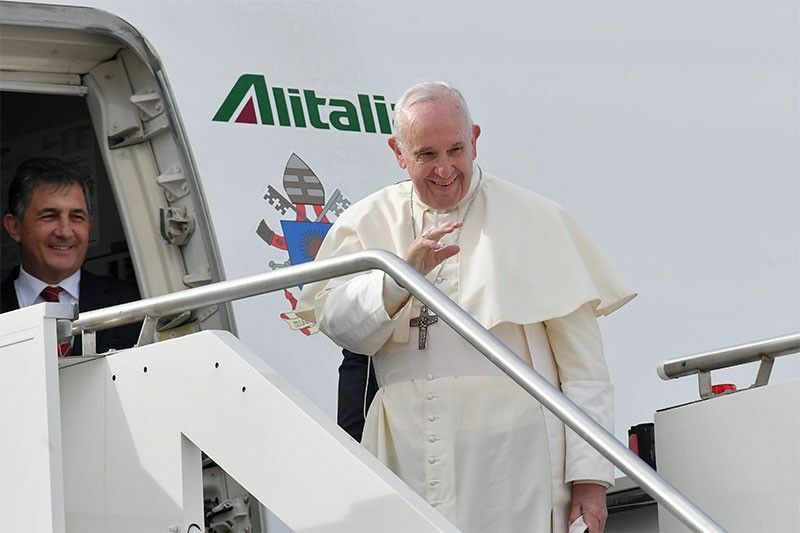 The trip marks the first time that a Catholic Pontiff sets foot in the Arabian Peninsula, yet it is not that on its own that makes this visit so life-changing, it is the dialogue of tolerance and co-existence that has taken place throughout the last couple day. Previously, we discussed the program for the two-day visit, its background, and its implications. Now, as His Holiness returns to the Vatican, and with the fruits of his trip being reaped, it is time to discuss what happened, and why is it so important. The Pope visited in the UAE after he had received an invitation from His Highness Sheikh Mohammed Bin Zayed Al-Nahyan, Crown Prince of Abu Dhabi, and Deputy Supreme Commander of UAE Armed Forces. The Holy See was invited to the “International Interfaith Meeting on Human Fraternity”, which was set to host a religious dialogue between a number of prominent faith leaders from different religions. On Monday, 3rd of February, the Pontiff flew via the Vatican’s aircraft “Shepherd One”, arriving shortly thereafter in the UAE. For the first time ever, the Pope was in the UAE, and unsurprisingly, both nationals and expats were exhilarated to hear the news. His Holiness was welcomed by His Highness Sheikh Mohamed bin Zayed Al Nahyan, Crown Prince of Abu Dhabi and Deputy Supreme Commander of the UAE Armed Forces, His Highness Sheikh Mohammed bin Rashid Al Maktoum. This was extended to Vice President, Prime Minister and Ruler of Dubai, and a number of other prominent governmental officials upon his arrival. A wide-range of friendly discussion took place and both parties encouraged further cooperation between the Vatican and the UAE. Pope Francis also expressed gratitude towards the leaders of the UAE for spreading a language of dialogue, tolerance, and coexistence within the Middle East., and in awe-inspiring words, he stated that this visit represented a new stage in the history of human fraternity and closer ties between different religions. 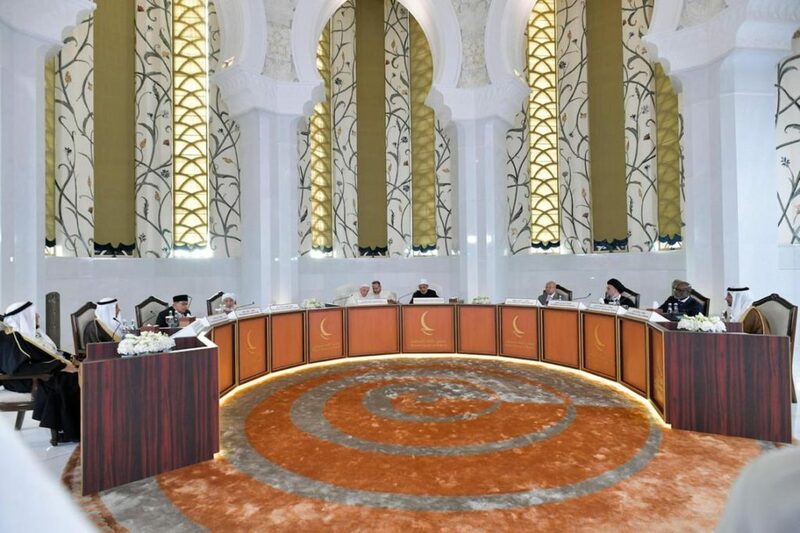 The Head of the Catholic Church and the Grand Imam of Al-Azhar, Ahmed Al-Tayeb met one another at Sheikh Zayed Grand Mosque to sit down with the Muslim Council of Elders. The council was established in 2014 as an independent entity that aims to promote peace and address conflict in Muslim communities. The faith leaders discussed how religious values can combat extremism, and how these values should be spread on a universal front. Under the roof of the Emirates palace, as many as 700 religious leaders from at least 12 different religions gathered to promote coexistence and tolerance. All agreeing on the importance of dialogue to bridge different societies and ensure a peaceful future. The overall mood was of compliance and were keen on promoting peace and religious understanding. 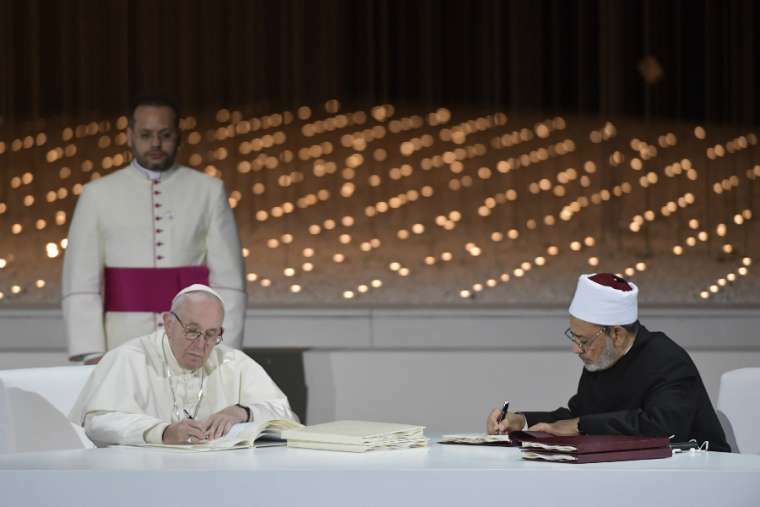 The conclusion for the two-day visit was summarized in what was called the Abu Dhabi Document, a 16-page charter signed by both the Head of the Roman Catholic Church, Pope Francis, and the Grand Imam of Al-Azhar Ahmed Al-Tayeb, declaring that religions must never incite war. “We resolutely declare that religions must never incite war, hateful attitudes, hostility and extremism, nor must they incite violence or the shedding of blood,” the document stated. 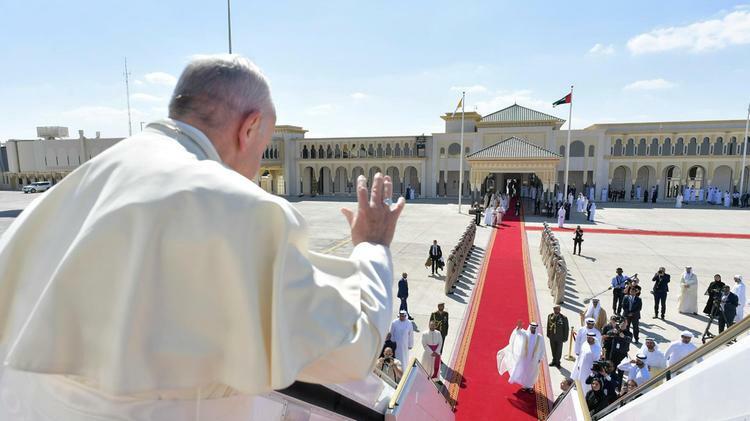 At the final hours before departure, Pope Francis held a mass at Zayed Sports City that was attended by more 170,000 people from various nationalities. The Pontiff laid his ceremony in Italian, but it was broadcasted in Arabic with English subtitles; his message was one of peace, love, and acceptance. The pope made a grande entrance in a Mercedes Benz “popemobile” G-Wagen and waved at thousands of enthusiastic worshipers. A choir sang hymns as the Pope, as well as priests of different nationalities, began the service. The UAE reached out to Pope Francis as part of their celebration of 2019s “Year of Tolerance” . Before the public mass, the Pope blessed and prayed with 300 worshippers at St Joseph’s Cathedral. The cathedral is one of the first Catholic churches to open in UAE. Pope Francis said his farewell to Sheikh Mohamed bin Zayed and off he went to board his flight back to Rome, marking the end of a chapter in the books of history. WE SAID THIS: Hopefully, this will not be the last time we see Pope Francis spreading peace and making history.